Through the course of life many people go through the unfortunate experience of back or neck pain. the world of Kinesiology initially came because of their back pain or neck pain. What happens in a Kinesiology session for Neck and Back Pain? I work with many modalities within Kinesiology. In the case of Neck and Back pain I generally begin by using a method called ‘Neural Organisational Technique’ which reorganises the integrity of the out of balance nervous system. This approach addresses many of the underlying sources of the problem. It is the brain and nervous system that send signals to muscles causing an imbalance in the muscular system, which then affects the skeletal system. from the brain or the meridian system. It enables us to identify energy blocks in a meridian or muscle that affect the function of the body. Once we correct the imbalance we can test again to confirm the new state of equilibrium. To give you an idea of where we would start in a balance for someone with back pain, checking your leg length gives us an indication as to where the imbalance may be coming from. For example if the left leg is shorter than the right and stays shorter when you bend your knees, this shows that the top vertebra in the neck is jammed out to the side of the short leg. When this is the case headaches may also be experienced. If the short leg switches sides when bending the knees, this shows us there is a low back problem. I work a lot with the jaw because there are many neurological pathways which run through the Temporomandibular joint of the jaw. A stress or traumatic experience may cause us to go into a defensive pattern by clenching our jaw. When we get locked into this defensive pattern, it can affect the quadratus lumboram muscles causing pain in the lower back. If we were to only address the lower back muscles we would miss getting to the source of the problem coming from the jaw. This defensive pattern can also tie in with conditions like teeth grinding at night. 7 cervical vertebra of the neck and may result in burning or tingling down the arms or legs, or sciatic pain. The number of treatments needed varies with individuals. Generally however 4 sessions a week apart will get us through what needs addressing, and this may be followed up a month later. When the nervous system is scrambled it can cause real havoc in the body. To give you an example of what can happen, I had one client who was injured in a mine collapse and when he came to see me he needed the support of two walking sticks and his wife. He had been living with severe back pain for over 5 years and not found anything that could help him. On his second visit to me he walked straight in without any support at all. I commented to him that considering what he had been like this was quicker than even I had expected, and he went on to tell me that earlier that morning he had been walking around Roma Street Parkland in Brisbane, the first time he had been able to go for a walk in over 5 years. This shows you what can occur when the body’s neurology is integrated and correctly switched on. 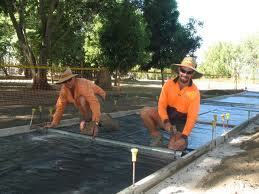 "After 18 years as a concreter I had almost constant back pain when I first came to Steve. With regular kinesiology treatments my back has improved more than I ever expected, and now I only need to come for a tune-up once a month to stay pretty well pain free. "I’d had 22 years’ service in the Defence Forces when I retired with shoulders that ached constantly. I could not lift anything above shoulder height and getting a good night’s sleep was near impossible. The Defence Force’s answer to this was to say I should put up with it as long as possible and then have surgery. That’s when my wife sent me to see Steve. Over a few visits Steve was able to reduce the pain in my shoulder so I could finally get a good night’s rest, and soon I could do things that previously would have left me in great pain. That was over 10 years ago – I haven’t had shoulder surgery and the pain in my shoulders is at an all-time low. I visit Steve for kinesiology once a month as part of my overall health management plan and couldn’t be happier with the results. I would encourage anyone in pain to visit Steve." "I am in my 60's and my wife and I wanted to walk the 800km Camino de Santiago trail in Spain. Trouble was I had such bad back pain I could hardly bend over in the garden let alone walk all day. A friend recommended I see Steve and over a few sessions my back gradually improved till I could bend and lift, and work in the garden, and eventually we started to train for the big walk. Well we did go to Spain this year, and we walked 20 - 25 km most days carrying a pack, and my back gave me no trouble the whole way." I shouldn’t. It happens within hours of eating the culprit food & causes muscle pain and headaches that can last for days without his help. The kinesiology work Steve does with me is gentle, quick and effective. I would recommend him to anyone wanting to be free of pain"
If you are someone in need of Kinesiology for Back pain or neck pain the next step for you is to give me a call and book in so we can get started on this transformational work. My Phone number is 0412 252 321.